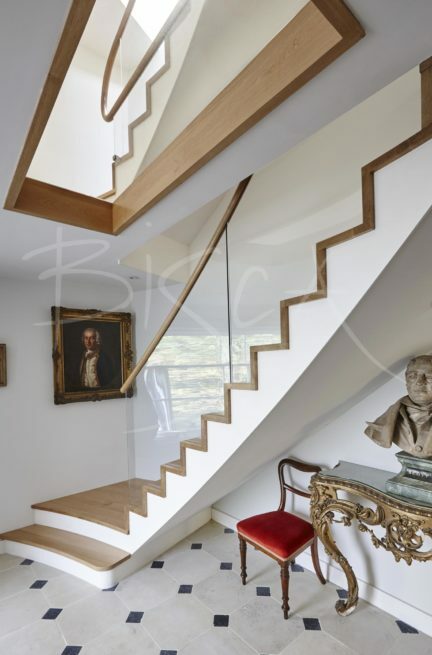 Contemporary Oak Stair in Victorian Folly. 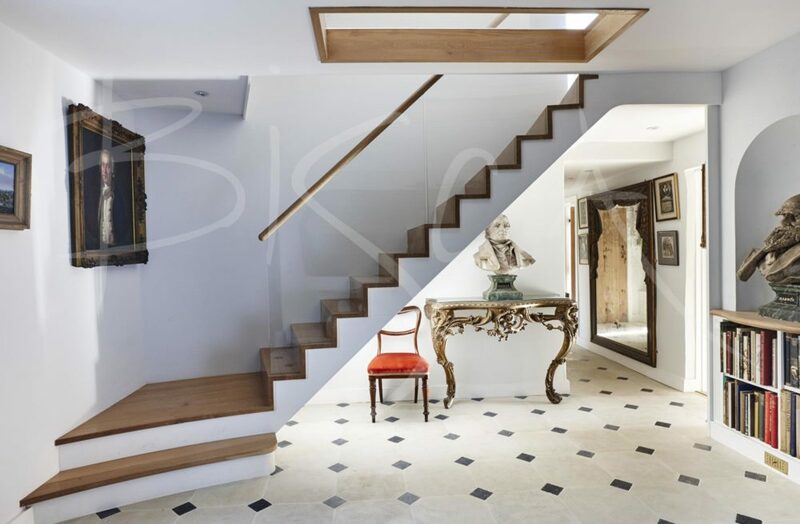 A contemporary oak stair as part of a converted Victorian Folly project. The staircase from ground to first and first to second floor is a slim design. It’s design allows maximum light into the property through small Victorian windows. The steel staircase has continuous kiln dried oak treads and risers. The treads, immediately in line of sight from the front door, form a striking zig-zag up from the turned bottom tread. 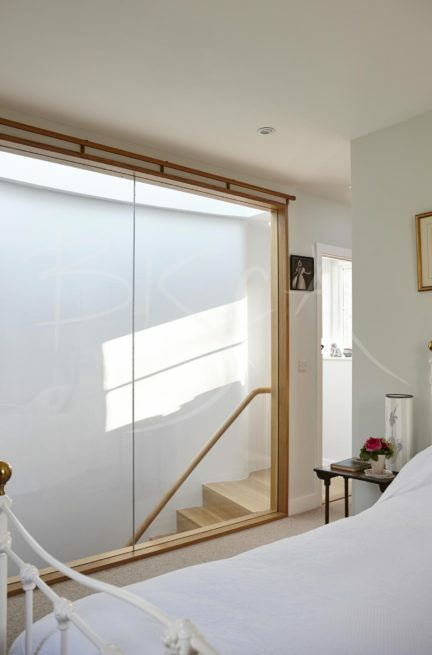 A circular section oak handrail runs continuously from ground to second floors and sits cleanly on top of the clear glass balustrade. 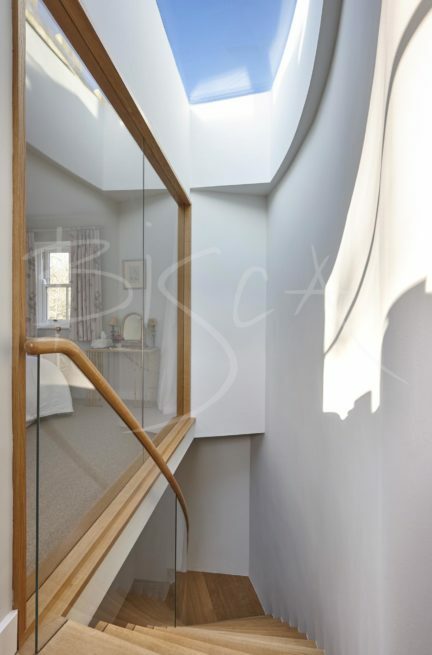 The glass wall, glass floor and roof light in this property are designed, manufactured and installed by Bisca. To get a guide price for your own project quote staircase 3123.